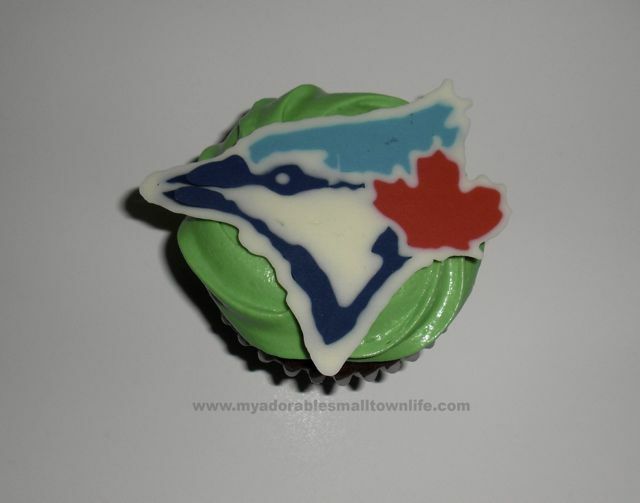 As a Toronto Blue Jays fan, this has been quite the season to watch. They won the American League East title, and are now playing in the postseason for a chance at the American League Championship. It's been stressful, fun, heartbreaking, and exciting to watch. No matter how far they make it in the postseason, I love this team. 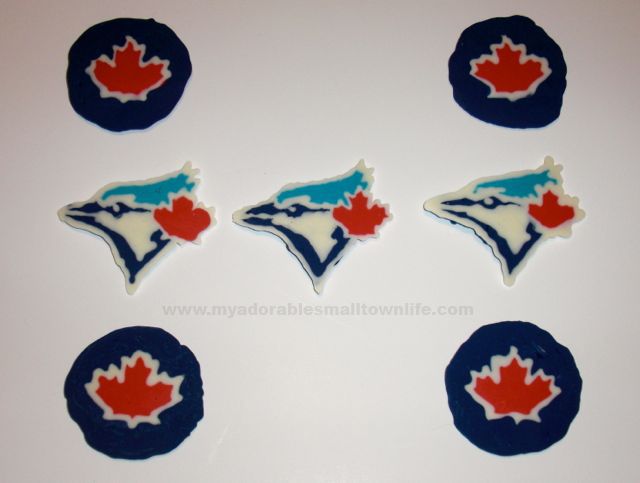 Go Jays Go! 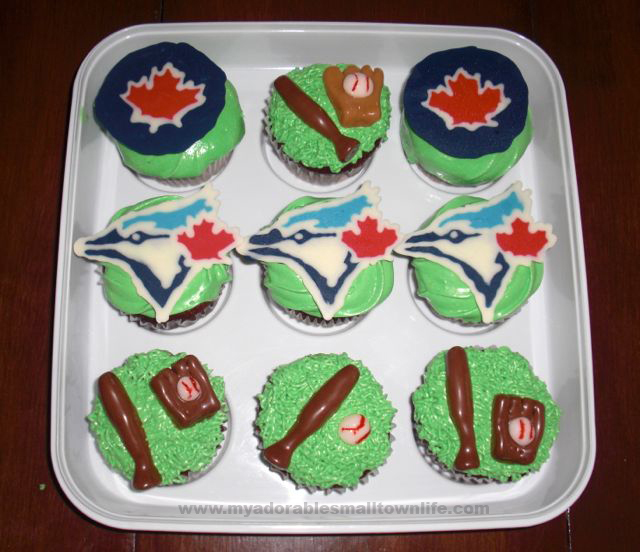 To celebrate the Jays making it to the playoffs for the first time in 22 years, I decided to make some cupcakes. 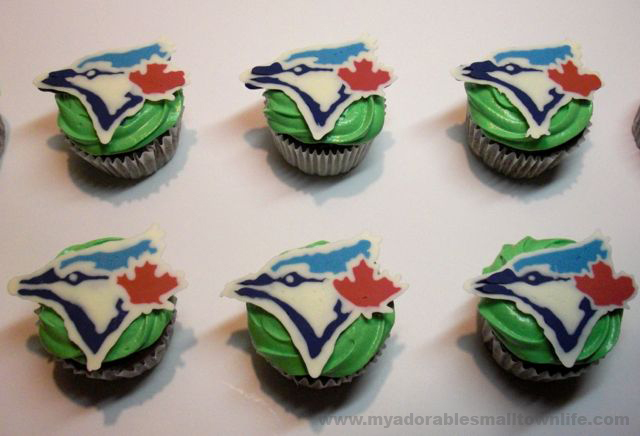 I have wanted to try making chocolate cupcake toppers using candy melts, and making a Blue Jays logo seemed like a good way to try them out. As is often the case with my baking projects, I started with something really challenging (a design that used four colours and had a maple leaf in it! 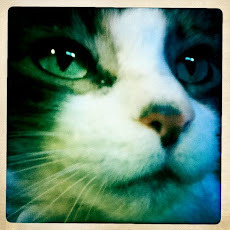 ), instead of perhaps practicing with something a little simpler. It all worked out and the toppers look as good as I hoped, but I'm going to try and remember that baby steps can be a welcome part of the process. I will do a follow up post showing how I made the cupcake toppers, but for today I am showcasing pretty photos of cupcakes. 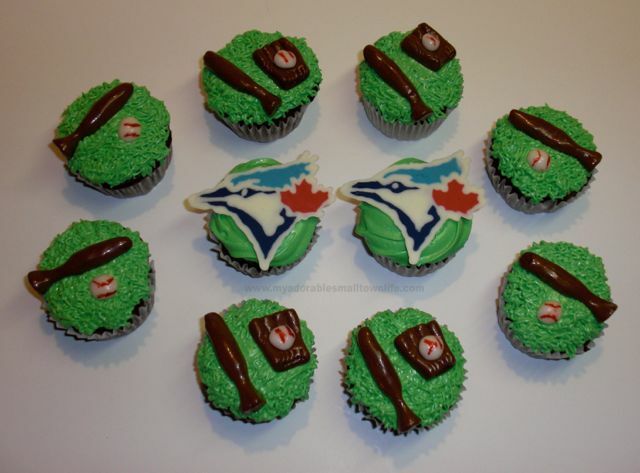 I also made baseball themed cupcakes, for which there is a great tutorial on the Worth Pinning blog. Hey Canada, It's Voting Day!